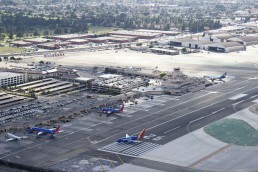 The Burbank-Glendale-Pasadena Airport Authority is proposing to construct a 14-gate replacement passenger terminal for the Bob Hope “Hollywood Burbank” Airport. 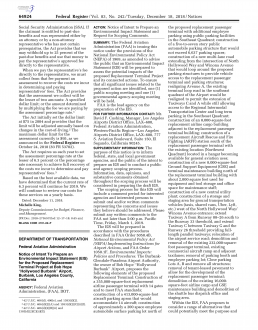 As part of the environmental review process, the Federal Aviation Administration (FAA) is preparing an Environmental Impact Statement (EIS) for the proposed construction and operation of the 14-gate replacement passenger terminal and ancillary improvements. 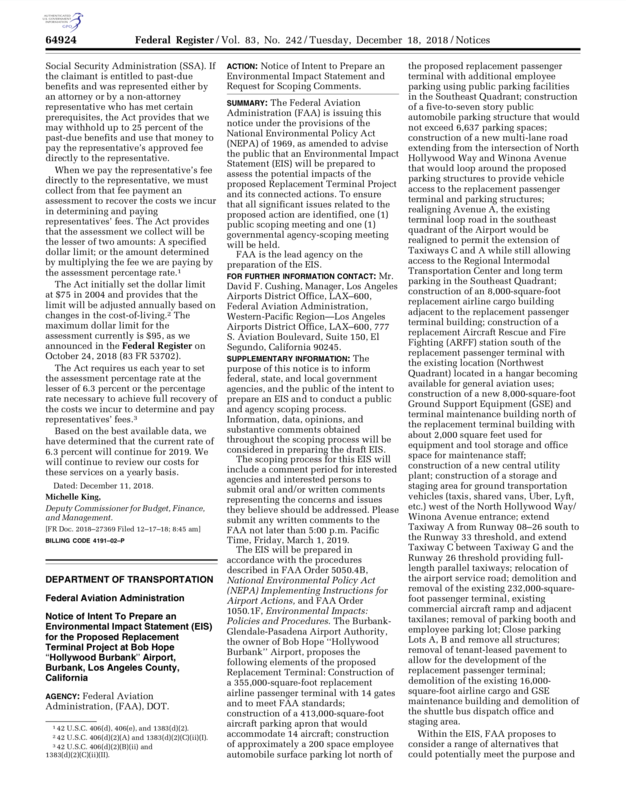 Governmental Agency Scoping Meeting: Tuesday, January 29, 2019, 1:00 p.m. – 2:00 p.m. Pacific Standard Time (PST). Attend a Public Scoping Workshop: Tuesday, January 29, 2019, 6:00 p.m. – 8:00 p.m.
Public Scoping Written Comments Due by 5:00 p.m. PST on March 1, 2019. Learn more. © 2019 Burbank EIS All rights reserved. Site by Consensus and dirango>.